Ever since the cash crisis began Ecocash has become the de facto currency. Most sellers especially in the informal sector accept it because all you need is a phone. My local tuckshop doesn’t even have a formal biller code, you just send the money to the guy’s mobile number and he gives you the goods unlike POS systems where you have to jump through hoops- even the most accessible ones like Kwenga and Kwik are not as easy to get on as Ecocash is. On the other hand the Zimbabwean government is the largest employer. They employ hundreds of thousands of employees including the police, teachers, soldiers. Currently most civil servants have salaries deposited in their bank accounts and when there is need: do a Bank to Wallet Transfer. This incurs further bank charges even now when they are exempt from the 2% tax. It would therefore make a lot of sense for Ecocash and Salary Services Bureau to join hands. In recent days we have heard Econet adverts intimating that this relationship may indeed be now a reality. What this means is that if you are a civil servant you can now sign up for Ecocash Payroll at the Public Service’s Salary Bureau. This will see your entire salary sent to your Ecocash wallet instead of passing through the bank. This is quite a coup for Ecocash Payroll and might even mean the service will become a mainstream service as even more employers and employees become aware of this aspect of Ecocash. 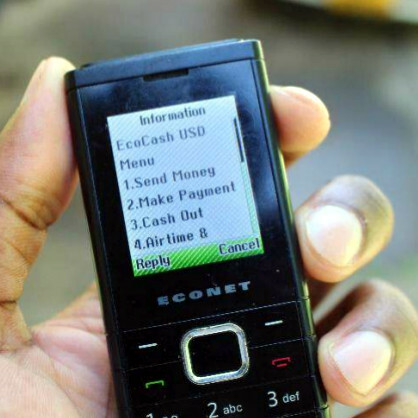 It will mean one more reason to use Ecocash versus its competition. This will also mean serious problems for banks. Banks have been making lots of money from levying transaction charges on each and every transaction with some even charging you to check your balance. If more people opt to use Ecocash instead that will mean reduced income for them. Ecocash has those charges too, even for checking balance. Are you marketing for Econet? Government is now rewarding Masiyiwa calling for the removal of sanctions. Queen B cartel in telecoms and financial sector. Did anyone pick that Econet will supply ZTv with setop boxes, maybe the free to air Kwese decoders will be used by Zbc. Kutonga kwaro neuwori hwaro. Masiyiwa in bed with Zanu Gvt, i never saw this one coming.